On your way in to this Cr 346, you pass a historical field with many menhirs. Somewhat further you see the signs to the "Mémorial International de la Bataille de l'Atlantique". The guns were 16.47 cm K.M./93-96 and the men were from 4./M.A.A. 262. 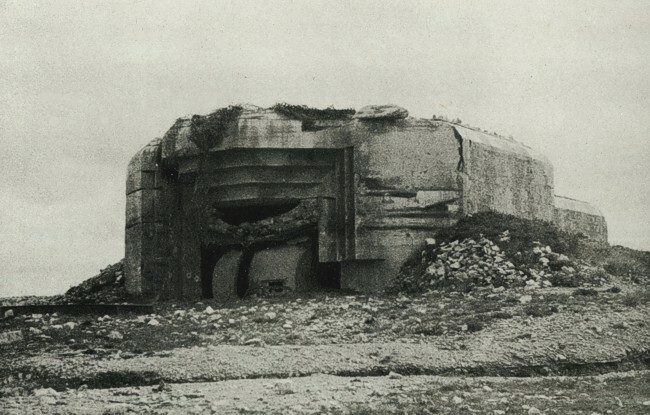 Two casemates can be visited freely, the third was completely blown to pieces and the crumbles lie all over the battery. Position four is a small museum. In 1994 they played a movie on the U-boats sailing the Rade de Brest and docking in the UBB pens. Note that the 16.47 cm barrel already has been removed.